This week in stores across China, Gap is shipping a women's logo t-shirt featuring one of my photos. 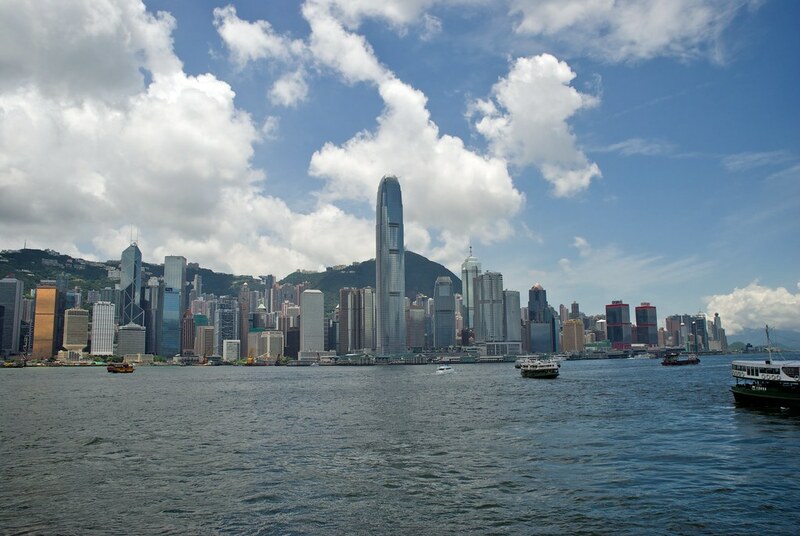 I took many photos of the Hong Kong skyline from Victoria Harbor during my visit in 2007. I have a number of contacts at Gap China, so when the graphics department needed photos of Hong Kong, I heroically stepped forward. Click here to see the shirt on the Gap China online store.